marlenewareham | This WordPress.com site is part of my degree to see where life takes me! Delighted to say that I have an exhibition of work on show with ‘The National Trust’ at Newton House, Dinefwr Park, Llandeilo in their new art gallery. The work will be on show until the 19th of June and some of it will change during that time. The legendary and complex relationship between humans and horses is an enduring one. The horse’s distinctive blend of grace and strength and its sleek beauty have long been analyzed, admired and represented in artistic form—whether through painting, sculpture or photography. 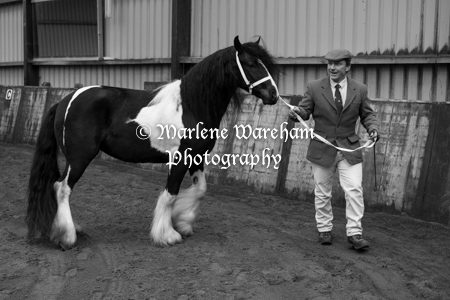 Engaging with the equine subject I proceeded to gain as much knowledge as I could through the handler. 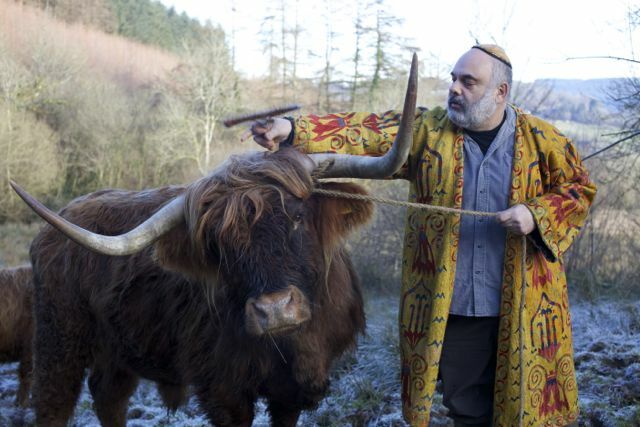 Although the animal intrigues me, I feel it is important that the images have a narrative for the viewer. This series of images has set out to capture through my photography the relationship of man and animal, and the majestic equine that it was born to be. 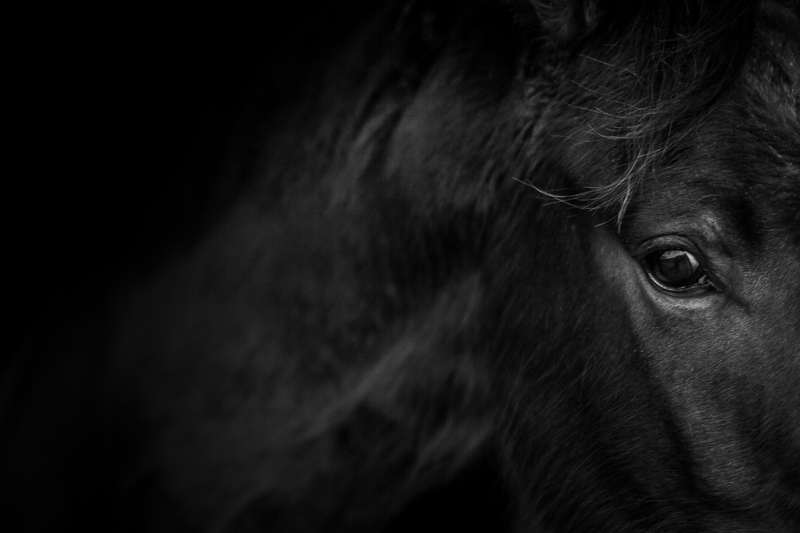 I wanted to portray Fine Art photography that does justice to equine nobility and to record an aesthetic moment that conveys to the viewer emotion and poignancy resulting in body language of the horse, which shows its feelings and draws the viewer into the frame. There are many layers in the complex relationship, and by showing the presence of the human; the bond between man and animal is revealed. The dedication and passion of the ‘Horse Whisperer’ achieves reconciliation in our troubled relationship with the equine world. 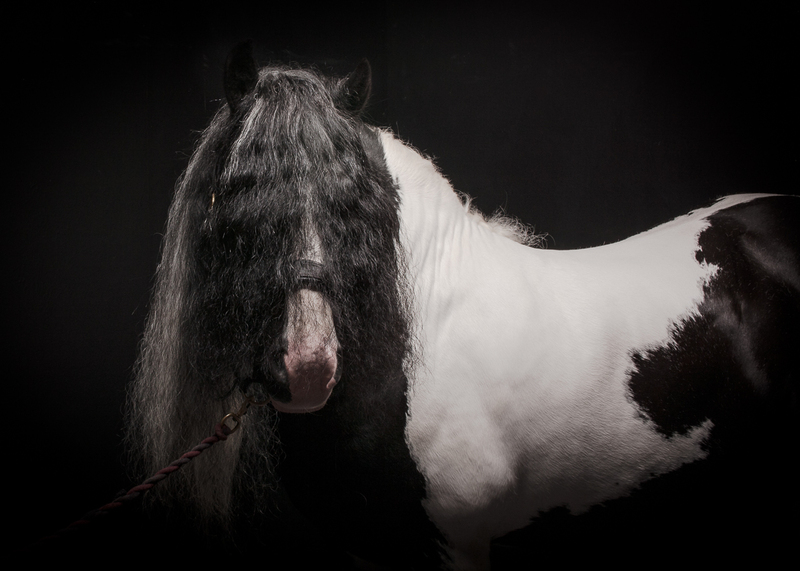 The images are of two very different yet unique horses; Alfie of fine thoroughbred breeding on the road to recovery after his rescue from the abattoir’s lorry and Mr. Edd the beautiful traditional gypsy cob show stallion, whose portrait was taken in the studio. Both convey a different story of one mans unique ability of horsemanship. With thanks to Barry Thomas and Rhian Jones who gave their time, patience and trust to make this body of work possible. Monday evening saw the 2020 Vision show come to Bristol. With thanks to Bertie Gregory for letting me know the show was on. Anna, James and myself thoroughly enjoyed an evening at St Georges, Park Street, Bristol. To create the most compelling case yet for repairing and reconnecting the U.K.s natural habitats and to motivate fresh thinking about our dependence on wild nature. A Peat Bog – Carbon Trap, Cistern, History Classroom. The Sea – Climate Regulator, Larder, Tourist Attraction. Some Hills – Water Trap, Workout Zone, Refuge. A River – Flood Defence, Artery, Irrigator. A City – Green Lung, Soakaway, Refuge. A Saltmarsh – Seafood Bar, Dynamo, Flood Defence. A farm – Delicatessen, Fuel Station, Honey Factory. A Wetland – Water Filter, Sponge, Roofing Supplier. A Heath – Breathing Space, Running Track, Honey Pot. It was a fantastic night, the images were stunning and inspirational and I got to meet 3 of the best Photographers in the world today – and more-so they got to meet me! Alex Mustard – Basking Sharks, Blue Sharks, Seals and the Wildlife Photographer of the Year 2005, Bertie Gregory – Young Champion for City Photography with Peregrine Falcons, Foxes, and Tawny Owls. Peter Cairns – Award Winning Photographer with Osprey, Eagles, Red Squirrels and Pine Martins and Me – Finalist in the Harman Technology Student Photographer of the Year! Well, we all have to start somewhere! Andy Rouse -Wild Boar and Otters, Award Winning Photographer who was sadly unable to attend this evening. Go have a look and enjoy the students different interpretations of the subject title. 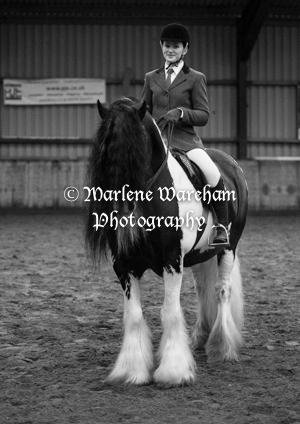 Rhian in ‘Ridden Shown Class’ with Mr Ed. Yesterday I accompanied Barry and Rhian to a show. The weather was dreadful but luckily it was at indoor venue. Mr Ed looked stunning and did very well in his classes winning 3 rosettes, a good start to the show season. 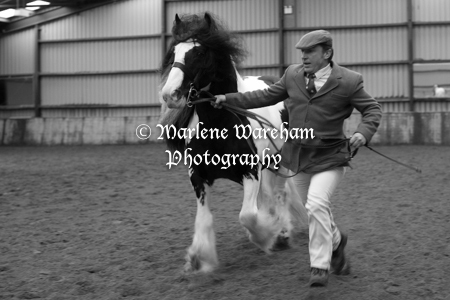 Mr Ed was shown as ‘Coloured pony in hand’ with Barry and ‘Coloured ridden pony’ with Rhian. Also being shown for the first time yesterday was Kristal, although she was not placed this time, it was a perfect first outing and she behaved beautifully. With thanks to Barry and Rhian for the invite. The title of the brief for this years competition was ‘Pride and Prejudice’ (A reflection on the world today). The closing date 31st January 2013. ‘Judges will be looking for images that as well as being technically excellent, provoke an emotional response and show an understanding of the brief’. 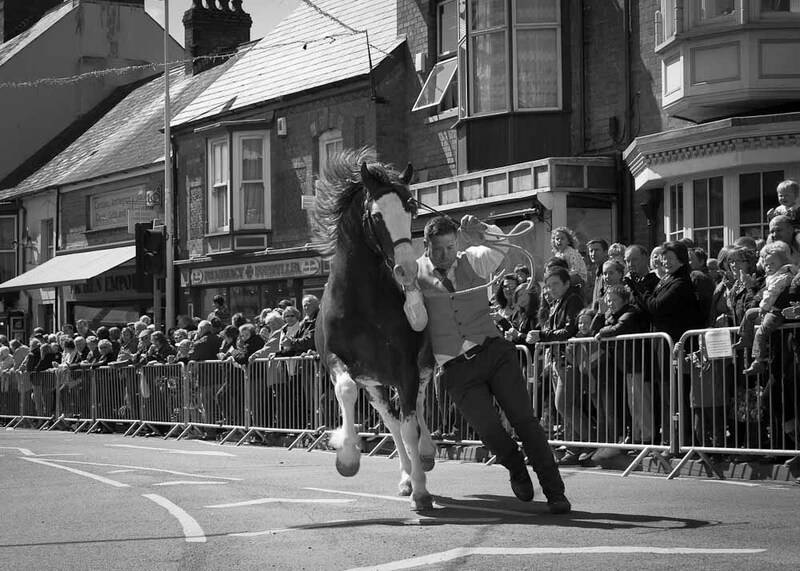 Well, the only images I had ready printed were ‘Barley Saturday Stallion Parade’ so here goes, the entry form was downloaded on the wednesday evening, mad dash to the post office on thursday lunchtime for a special delivery guaranteed by 1300 hours on friday the 31st January. Job done – at least I had sent something off. I had asked for a return of the images and they came back on the 20th with a compliment slip. Oh well, that was that. For the second year in a row I was a finalist in the competition. 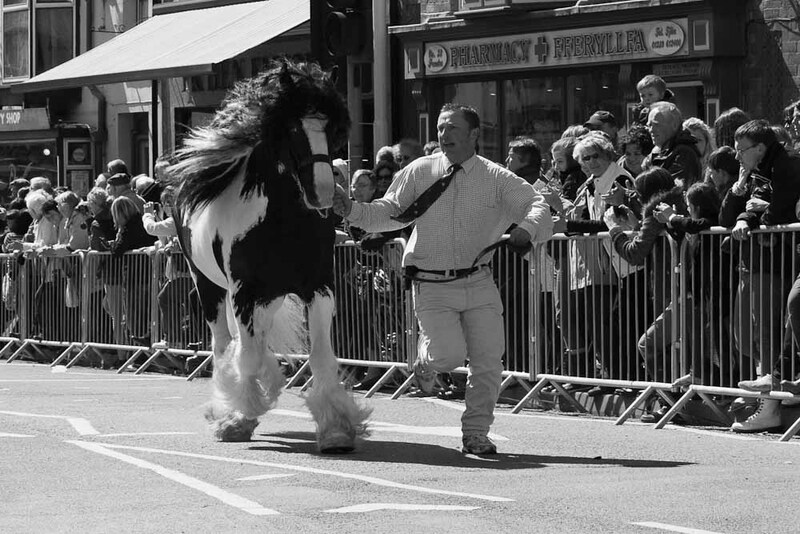 ‘Pride and Prejudice’ – the pride of the owners/handlers with their stallions running through the street in Cardigan town with all the skill that is needed to run with these horses at the annual traditional event of the horse fair and the prejudice of running the stallions on tarmac roads with the crowds. Ultimately, I had pride in my own work and believed in it. I guess ‘Telling the Story’ is what I love doing and hopefully it shows. ‘Howard and Twenty’ the Bull (Last years finalist image), Barry and Dean with their steeds on the day and Emma with her pet lamb submitted to ‘Alamy’ (earlier post on my blog, the ‘Top 400 Amazing Student Images’) completed the hat trick and I feel so lucky to have had the opportunity to submit the images and in return feel more confident with my work.